What do you call someone who is organizationally challenged? Oh yeah, a mess. 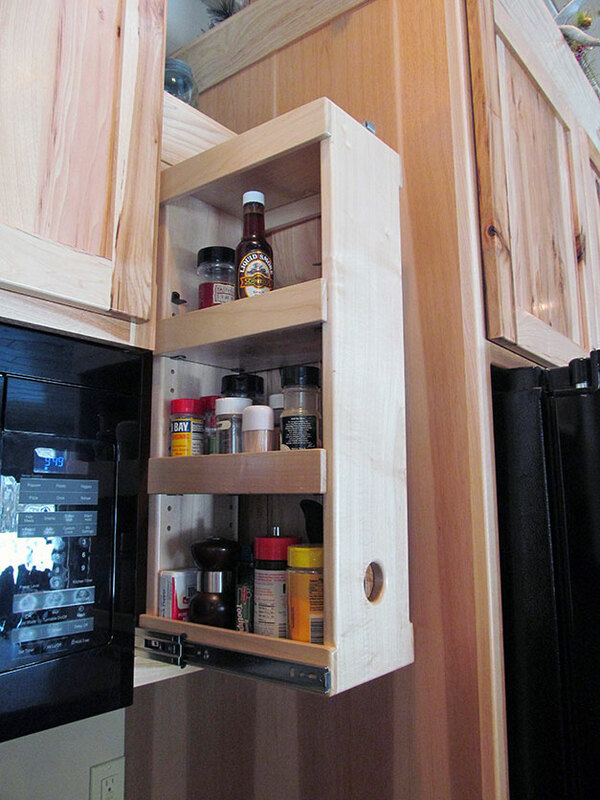 I definitely have benefited from remodeling my kitchen to all drawers and roll-outs in my bottom cabinets. 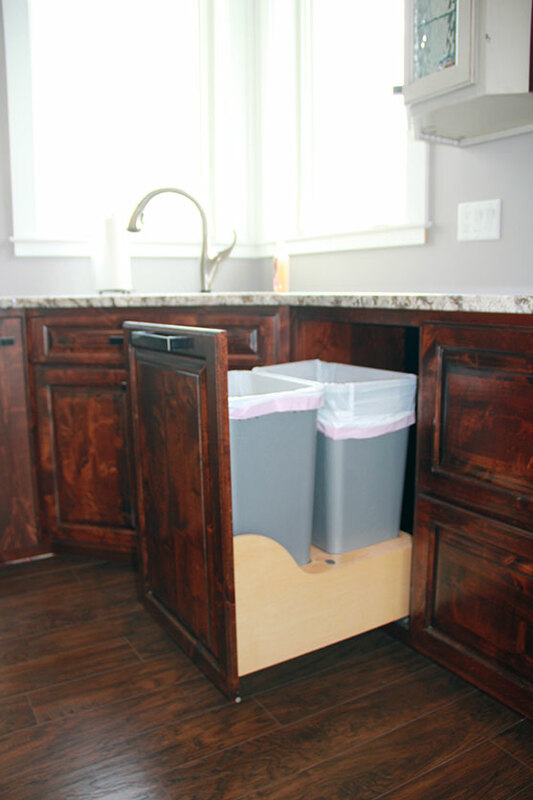 No longer do I have the deep, dark corners where stray pot lids and dusty odd bits of kitchen clutter can hide. I love the deep drawers where my bread machine, toaster and deep fryer can reside instead of taking up valuable countertop space. The rollout trash can forces me to empty the trash when it gets full instead of procrastinating until things roll off the top. 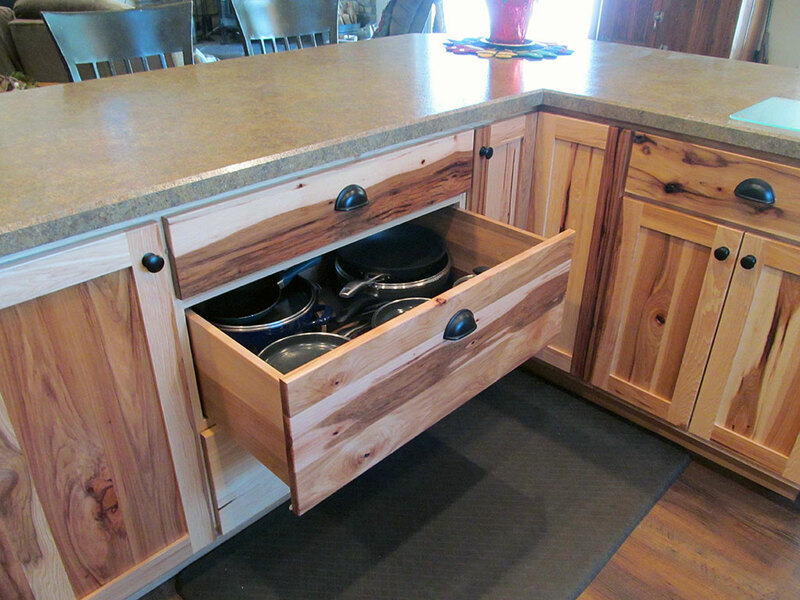 I love the corner drawers that replace the lazy susan. And I really like keeping the leftover container family subdued and in their proper place now that I can expose them to light. I can see where the lids have gone, and do easy sorting and stacking. The joy of having a kitchen with just the right sort of drawers and pullouts that fit your needs is wonderful. If you are a person with naturally tidy habits or (like me) are a natural mess, you can pick just the right thing for you. 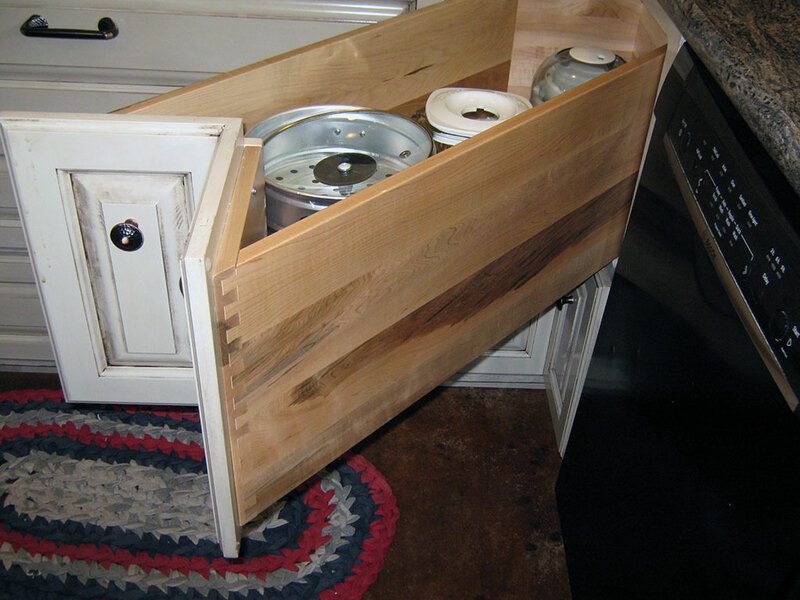 Some still want the look of doors on their bottom cabinets or don’t want to sacrifice the space a drawer demands. For them the door opens and the pullout is conveniently behind it. 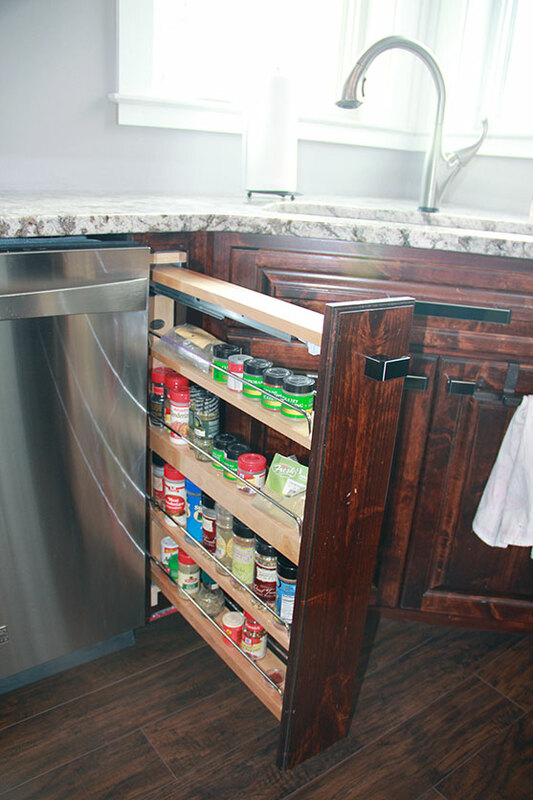 Spice racks and pantry shelves that roll out—behind a door or not—are wonderful ways to keep track of those little items that tend to wander off. 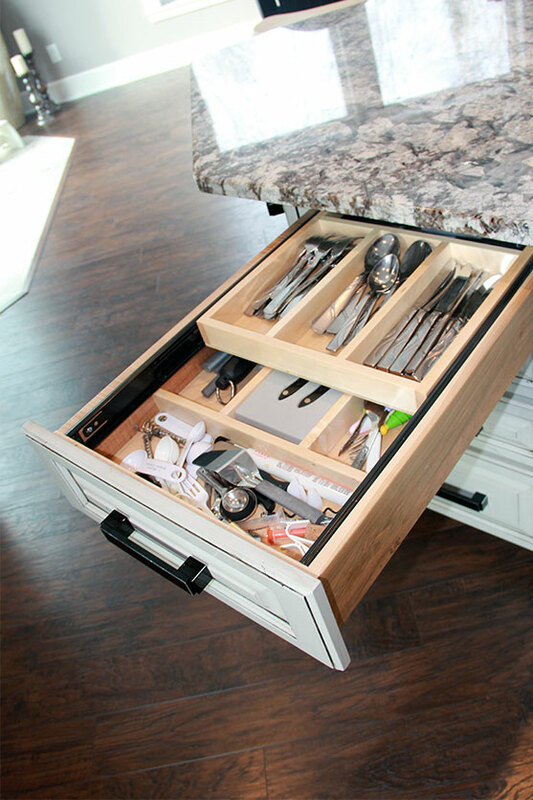 If you need help keeping on top of kitchen organization or you love having company “tour” your kitchen, either way pullouts and drawers are a great way to do both.